LOSING IT AND KEEPING IT OFF! 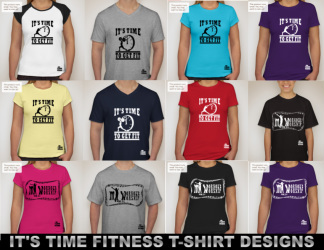 Our free gift to you is our irresistible ladies or men fitted tees designed to fit and look fabulous on you or 20 minute Complimentary Discovery session. A winner will be chosen after 30 Days and notified by phone. You must be a residence of US, Canada, Mexico or United Kingdom. Share and tag your facebook friends using one of the pictures at the ff link . Click Here to access the link or Use the pic you were tagged on. Fill out the form to enter to win your free gift.